short distance to Wilson Foods grocery store, Wilson State Bank and other important businesses. complies with ADA requirements and addresses special needs of seniors including walk-in showers (instead of tubs), fold-down shower seats and raised electrical outlets. design assistance provided by AARP and other experts. exterior stucco walls provide substantial structural strength and superior fire resistance compared to conventional wood stud construction. 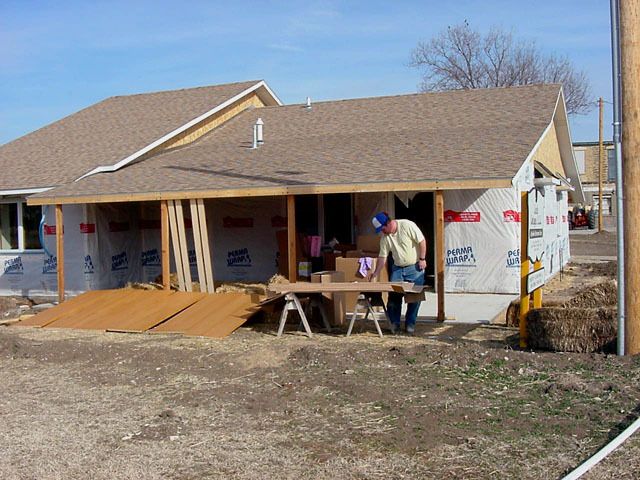 Compared to conventional wood stud construction, straw bale walls provide better resistance to fire. 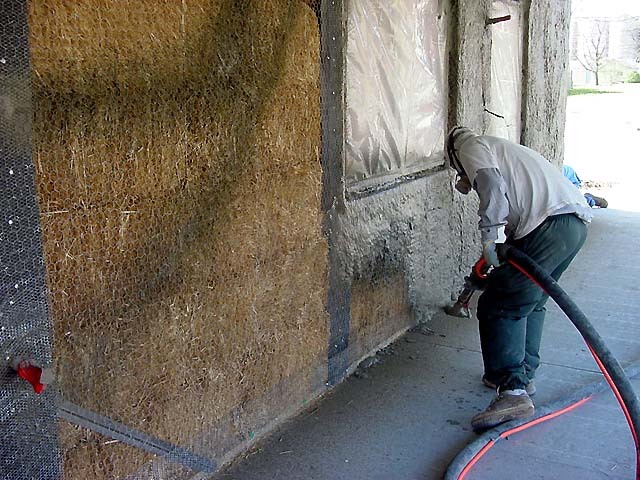 ​Straw bale walls contain millions of tiny air pockets that provide excellent insulation value. Yet, the structure of straw bale walls inhibits combustion. Conversely, the structure of conventional wood stud walls provides a chimney effect between the studs that allows fire to spread from lower areas up to the roof structure. Straw bale walls tested at a certified construction materials testing facility achieved a two-hour commercial fire rating, far superior to conventional wood stud walls. The utility room in each apartment doubles as a safe room from storms! These rooms are built to FEMA standards with steel-reinforced walls and ceilings. exterior walls are coated with 1.5 inches of fiberglass-reinforced cement stucco. ​All of this provides very substantial and significant protection from Kansas storms! 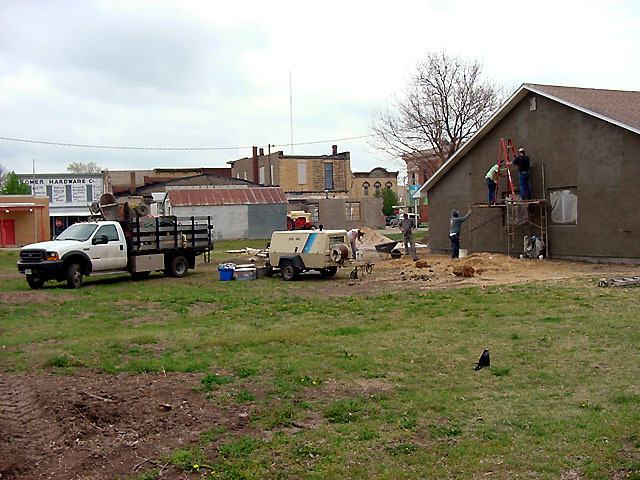 ​Greater safety and security adds to residents’ quality of life.